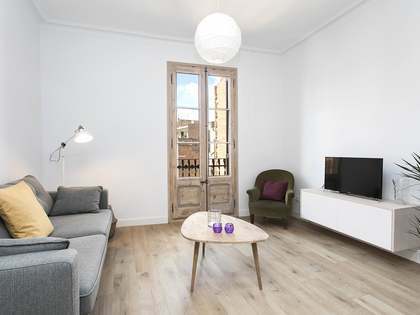 Apartment located in the Barcelona's peaceful Sants neighbourhood, 2 minutes from Plaça de Sants and very close to Plaça de l'Espanya Industrial. Within a 'finca regia' building, the apartment is on the second floor. 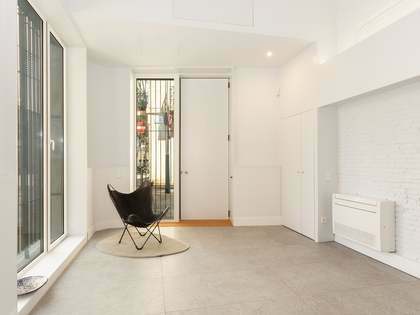 The apartment has been fully renovated, modifying the layout to allow for more increased natural light to fill the open spaces. 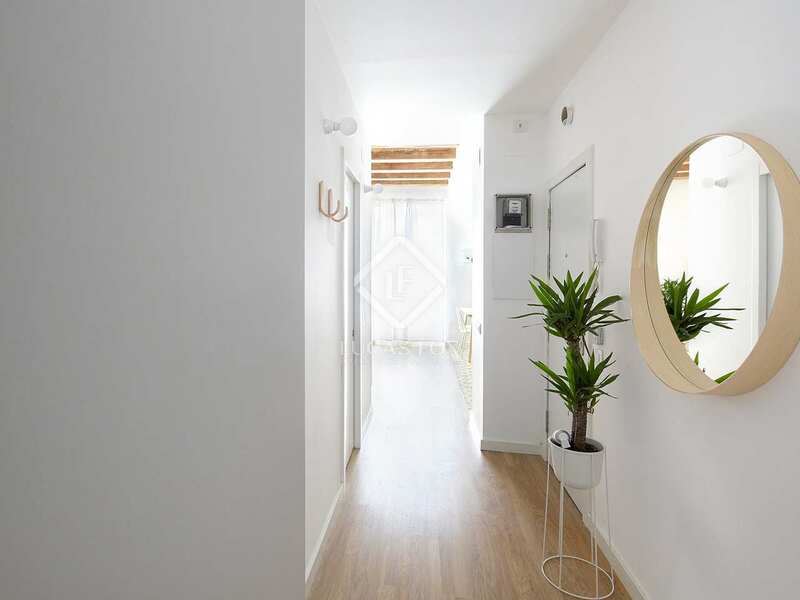 A hallway leads to each of the spaces that make up this apartment. 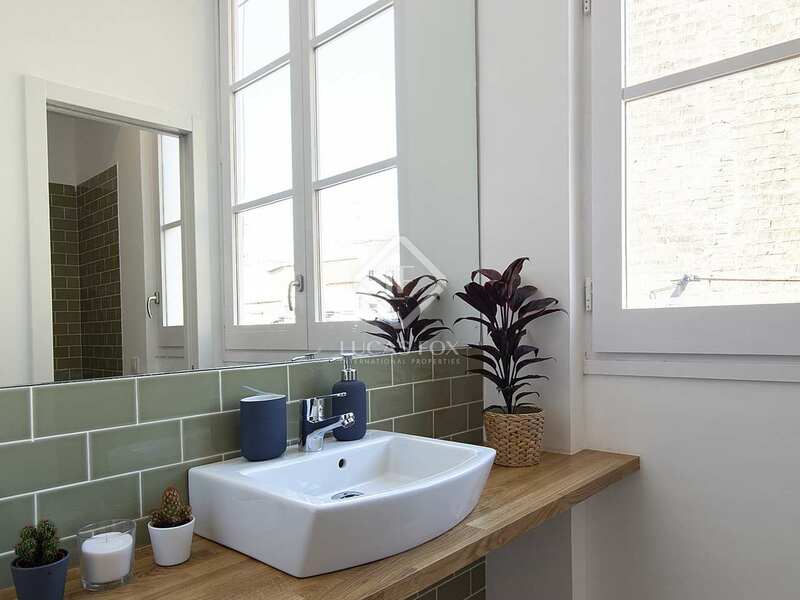 There is a bathroom with a cupboard for the electric boiler and preinstallation for a washing machine. 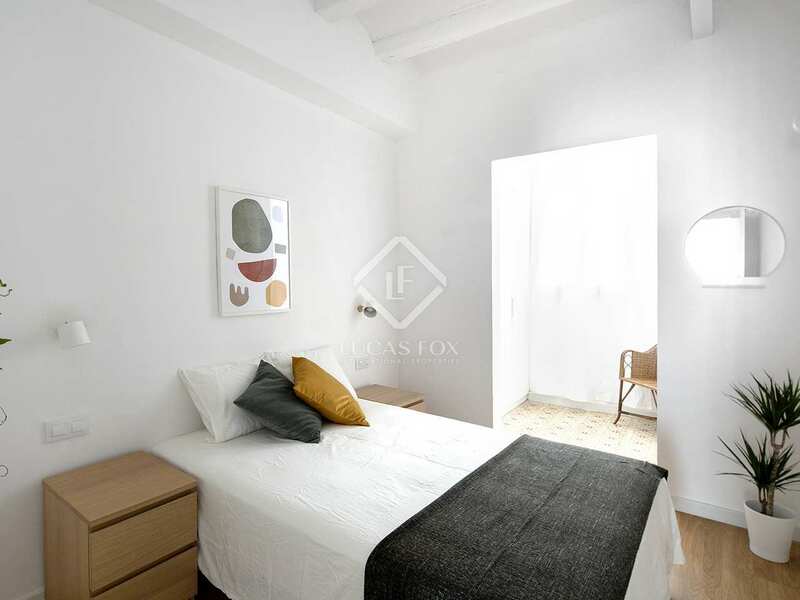 The bedrooms overlook the courtyard, they are in the most peaceful part of the property. 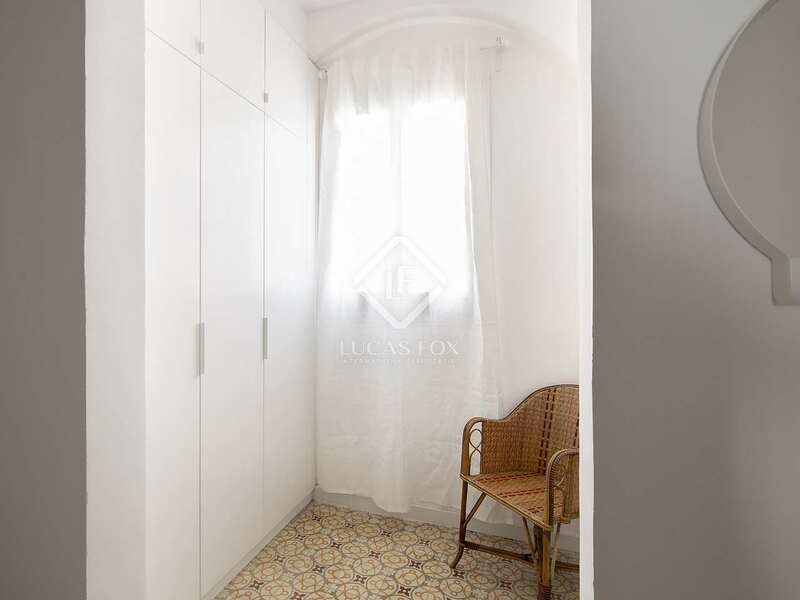 Of the bedrooms, 1 has a dressing room whilst the second bedroom has a dressing room and private bathroom. 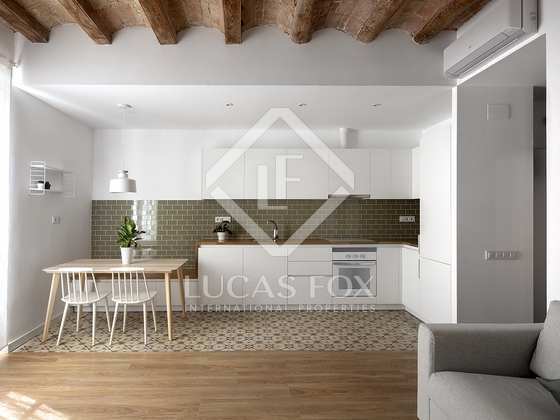 The spacious living-dining area has a balcony overlooking Calle Guadiana and the kitchen, complete with bench and dining table there, occupies one side of this open space. 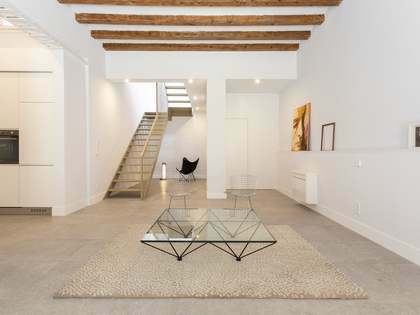 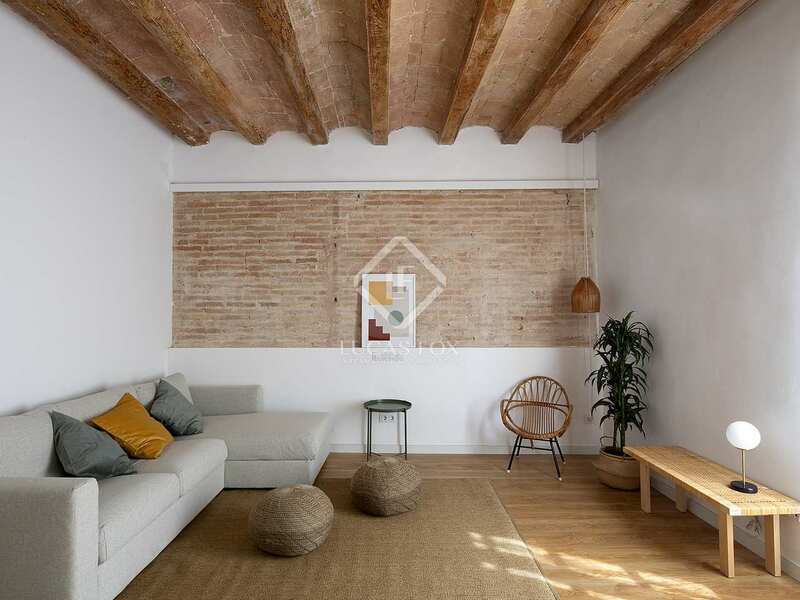 Many original architectural features such as the typical Catalan vaulted ceiling and exposed brick walls have been maintained. 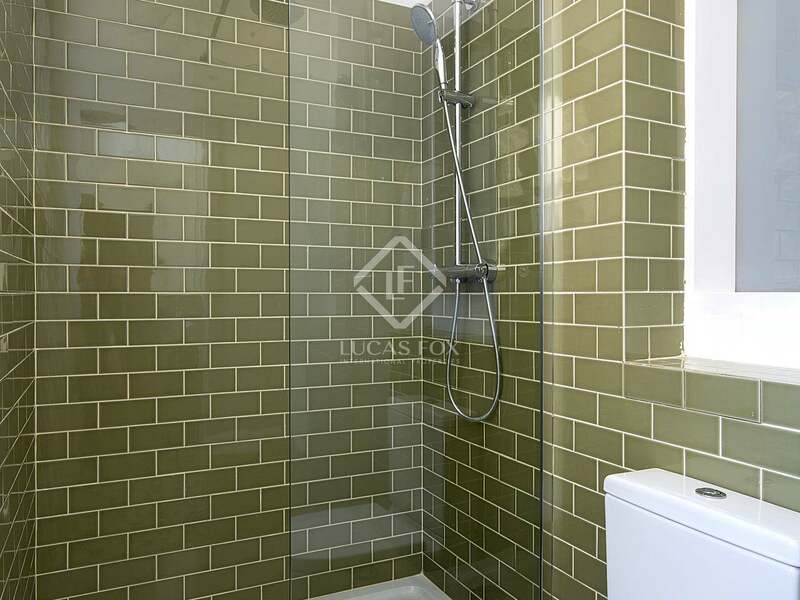 The attractive tiled floorings have also been preserved and polished in some areas. 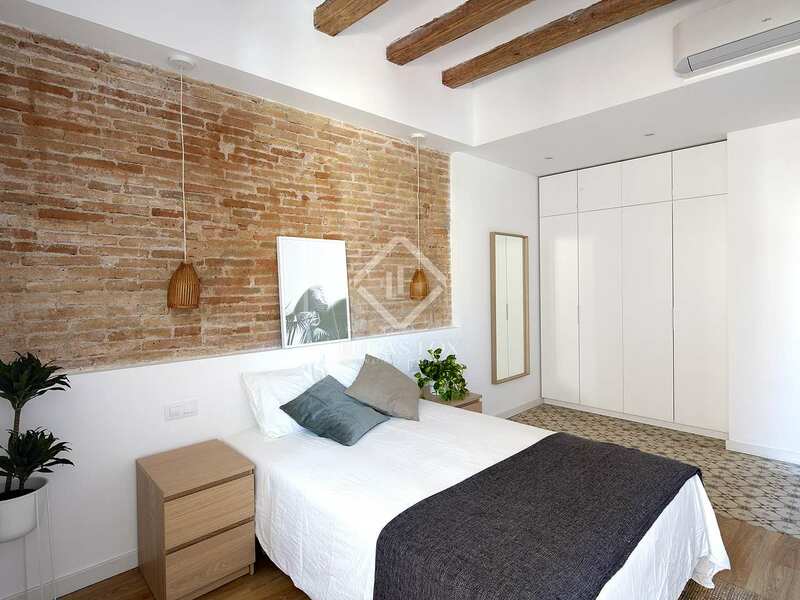 Parquet flooring has been selected for the bedrooms for an elegant finish. 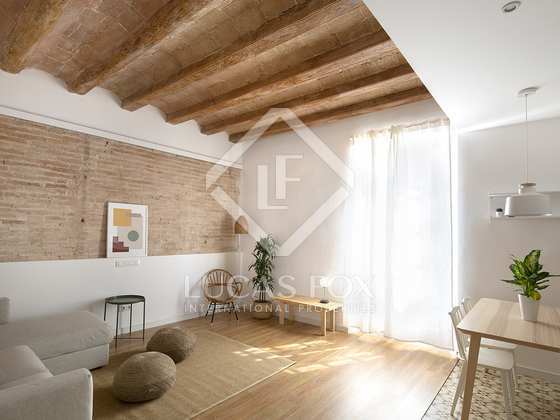 The property also boasts new woodwork and double glazing. 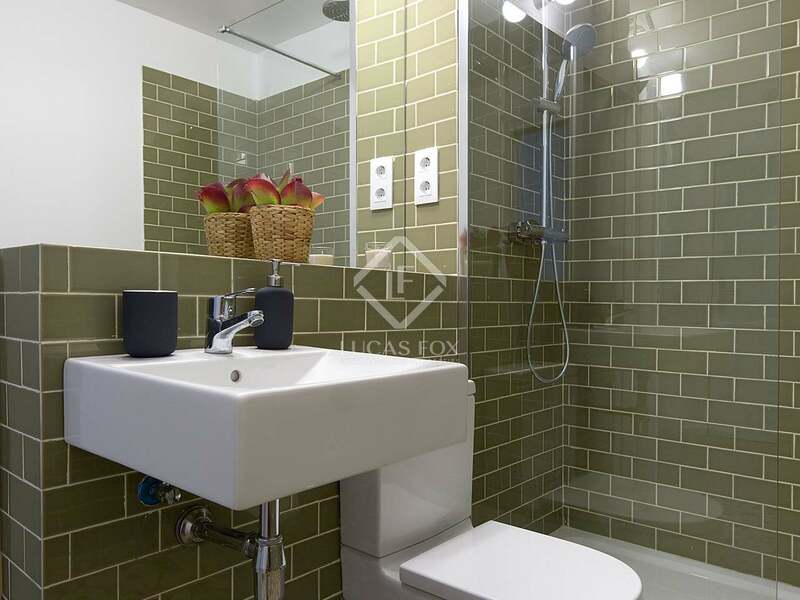 The apartment has new light, water and sanitation installations as well as air conditioning and heating machines in each of the rooms. 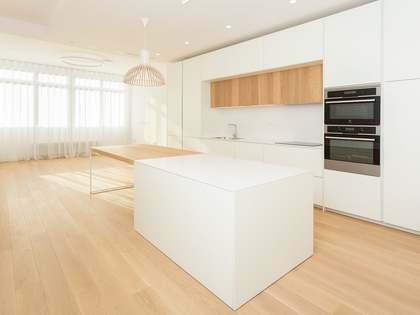 The kitchen is equipped with a built-in electric oven, induction hob, dishwasher and fridge-freezer. 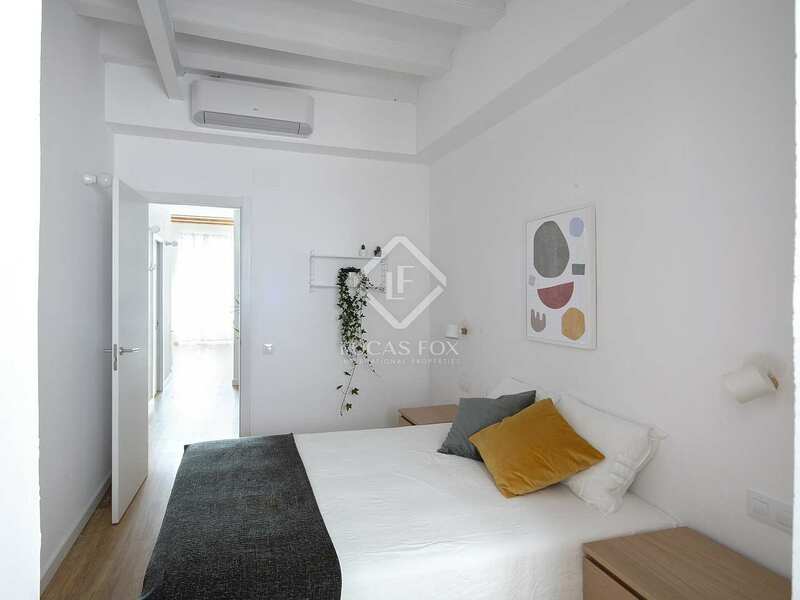 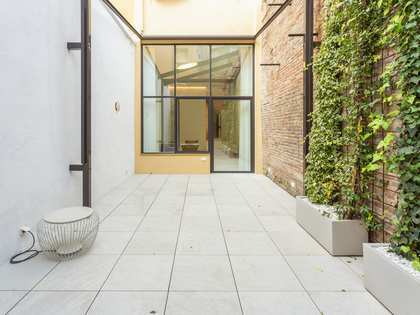 Property located on Calle Guadiana, in Barceona's peaceful Sants neighbourhood, just 2 minutes from Plaça de Sants metro station and very close to Parc de l'Espanya Industrial.